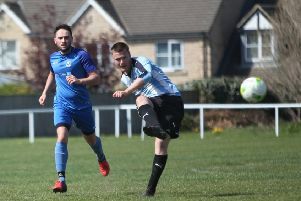 Elland side Huddersfield Amateur FC made it through to the West Riding Challenge Cup semi-finals when they beat Hartshead 4-2 on penalties at Old Earth on Saturday after a 1-1 draw. They now play Church Fenton FC from the York Minster League at the West Riding County FA’s headquarters at Woodlesford, Leeds next month. The reserves bowed out of the West Riding Trophy at the quarter-final stage, losing 4-0 away to fellow West Yorkshire League side Whitkirk Wanderers.